It’s really easy to configure Cherokee so it streams audio and video files instead of sending then as a regular file. 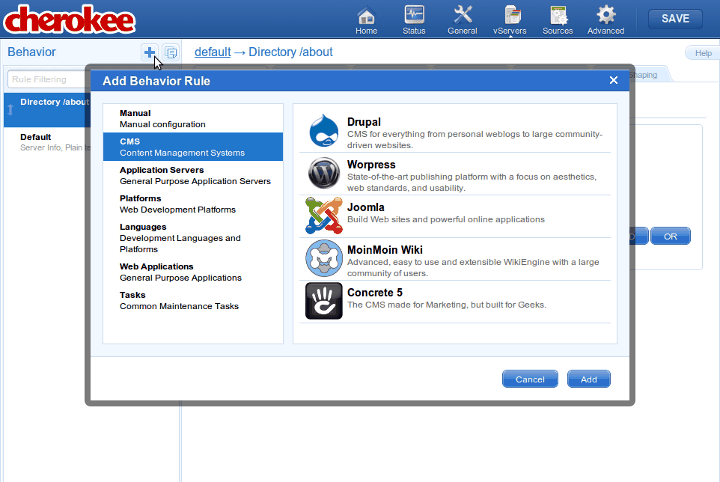 The first thing you have to ensure is that Cherokee has been compiled with the required libraries. In this case, the FFMpeg library set is required. 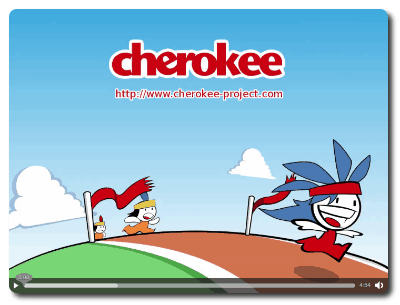 Cherokee uses it to extract information of the media files. There is a screencast available at the Cherokee-Project website to demonstrate how easy it is to use the Streaming wizard. To configure Cherokee to stream media files is trivial. The only thing you will have to do is to choose the virtual server on which you want to enable the streaming functionality, and then click on the Add New button located at the top of the panel. Once in there, the only thing left to do is finding the the Streaming wizard under the Tasks category, and following the instructions. Right after which the virtual server will be ready to stream your media files, including MP3, OGG, OGV, MP4, etc.